Setting a post to Use Once tells Edgar to publish that post only one time and then retire it. Use Once is perfect for one-off updates, really timely posts that have limited relevancy, or any other content that’s just not evergreen. 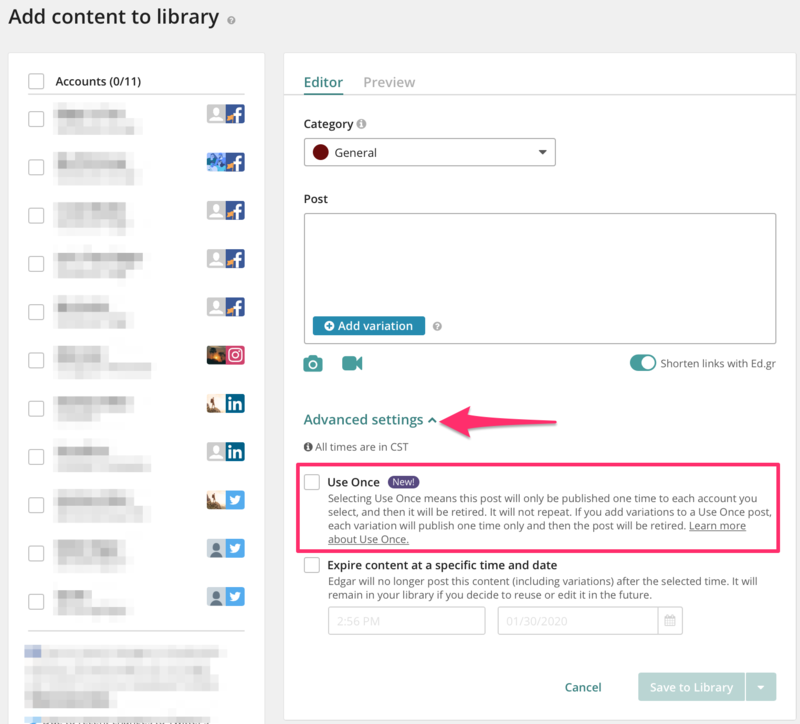 On the Add New Content page, you can designate a post as Use Once by clicking the Use Once check box under Advanced Settings. Each account you select will receive the post one time. 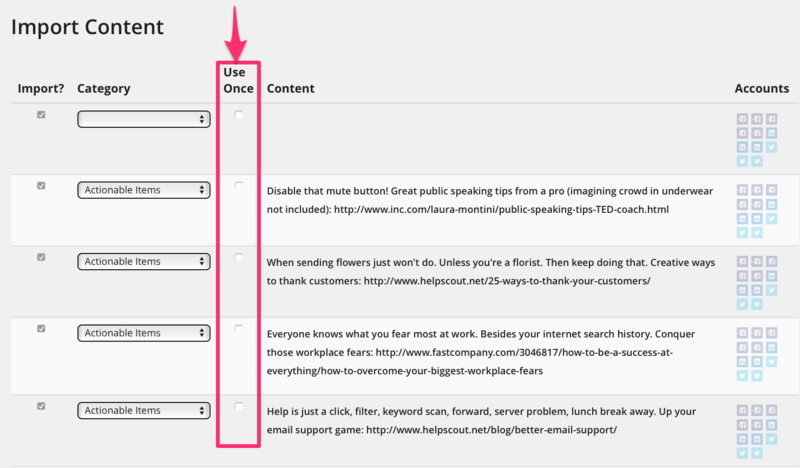 You can designate multiple content as Use Once items using Bulk Edit. Select the post(s) you want to update, and check the Use Once box next to the post. Then, click Update Selected at the bottom. 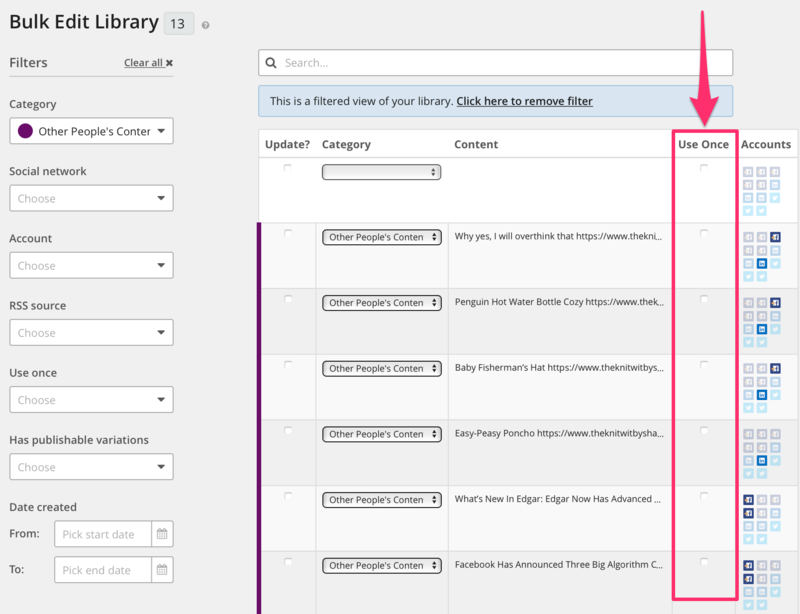 When importing content from a spreadsheet, check the Use Once box next to your posts to designate them as Use Once posts. 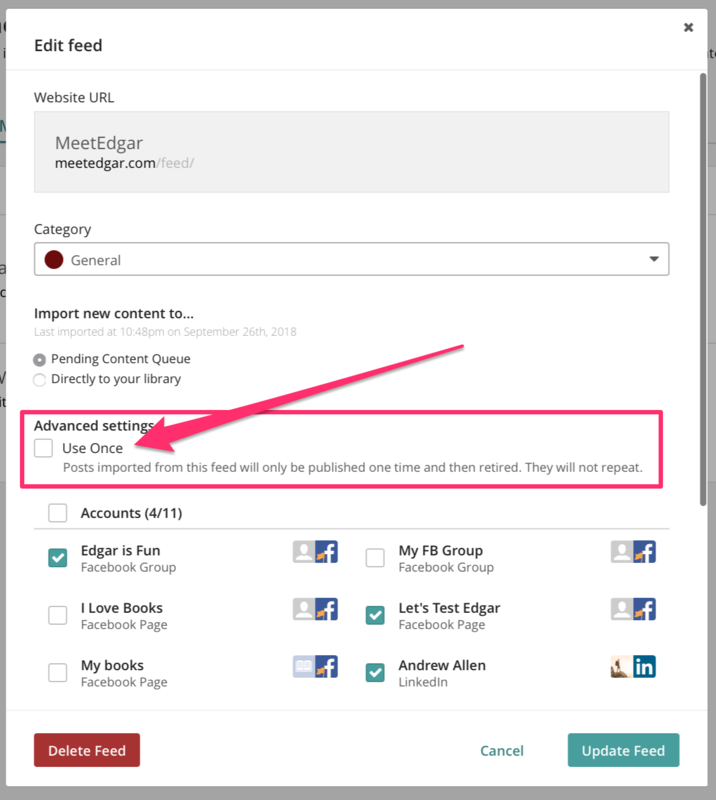 When importing content from an RSS feed, check the Use Once checkbox when you create the feed, and all content from that feed will be set as Use Once.